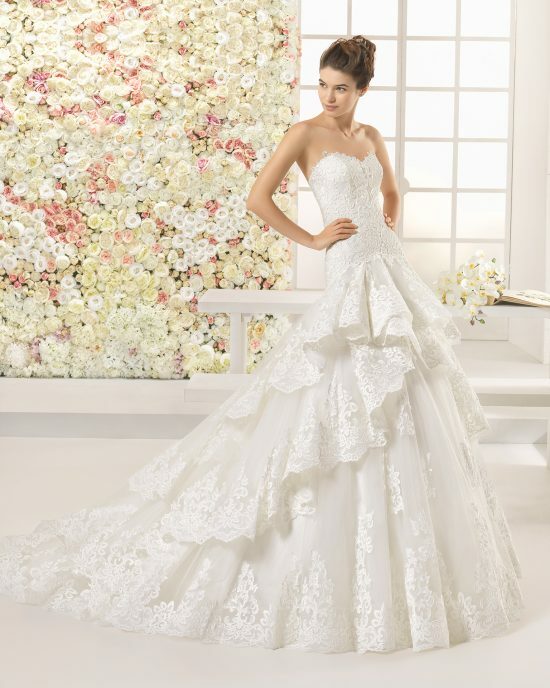 Exclusive to Blue Bridal in the state of Colorado, Aire is one of our favorite designers! Designed by world-renowned designer, Rosa Clara, Aire Barcelona offers exquisite lace details, soft fabrics, and an impeccable fit. Romantic, elegant and contemporary, these styles are designed to embrace a bride’s natural beauty. Prices range from 1,500 to 2,800 dollars.